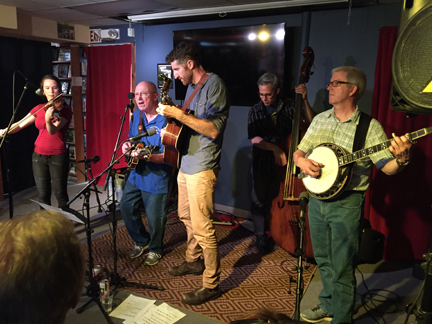 The Bluegrass Characters will play Best Video Performance Space on Tuesday, Jan. 29. The show starts at 7:30 PM and the cover is $5. The group features a rotating cast of acoustic roots music virtuosos. For this show, the lineup is Phil Zimmerman (Mandolin, vocals), Andy Bromage (guitar, vocals), Pete Kelly (banjo), Peter Craig (bass) and Tom Hagymasi (fiddle). Three chords and the truth, sung from the heart and through the nose.